There’s something immensely comforting about cauliflower in a white sauce, the classic of course being cauliflower cheese. But rather than the cheesier flavour of nutritional yeast, today I fancied mushrooms, with the heat of mustard and sweetness of onions for my sauce. To make the bake more of a complete meal, I’ve added tomatoes for a burst of bright flavour, and celery for freshness and crunch. 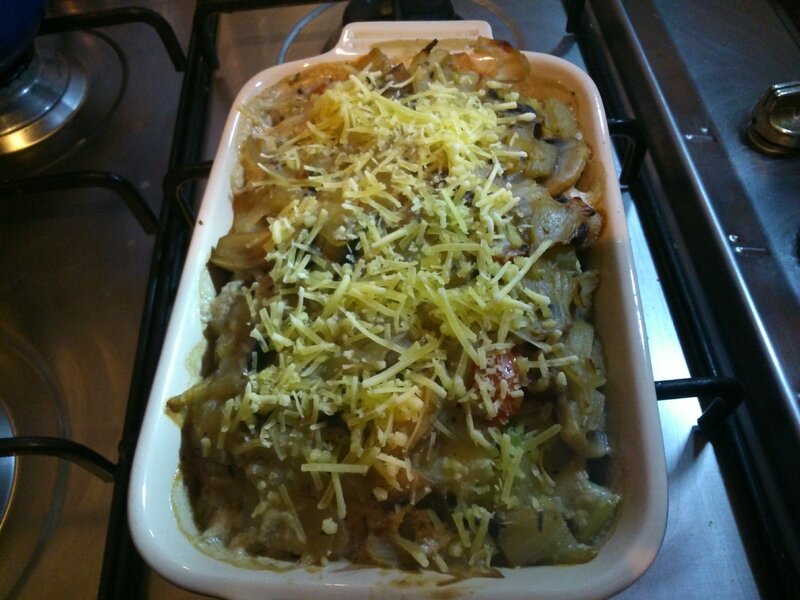 Preheat the oven to fan 180 c.
Heat the oil in a saucepan on a medium heat and saute the onions for 8-10 minutes, until softened and starting to brown, adding the mushrooms halfway through. Add the soy milk, mustard powder, herbs, celery salt and some pepper and stir well. Heat until just beginning to simmer and then add the cornflour and mix well to thicken. Meanwhile, steam the cauliflower for 3 minutes, until just soft (I did mine in the microwave). 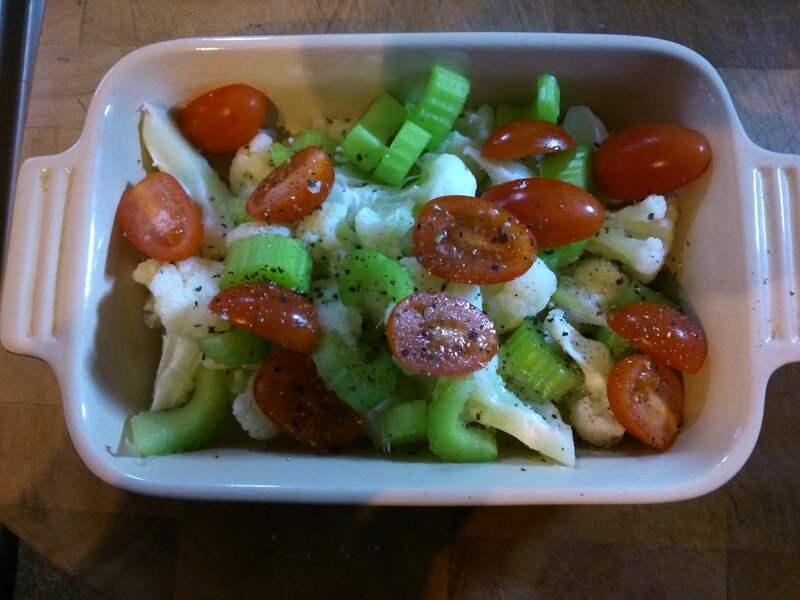 Tip the cauliflower into a small baking dish (mine is 18 x 12 cm), and add the celery and tomatoes. Season with salt and pepper. Tip the sauce over the top, and sprinkle on the vegan cheese if using. Bake for 20 minutes until bubbling and smelling beautifully savoury. Vegetables have sauce! The finished bake.